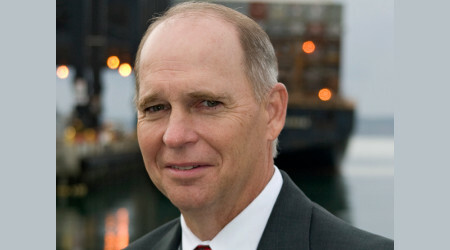 The American Association of Port Authorities (AAPA) on Tuesday expressed concern about port-related funding cuts in President Donald Trump's proposed fiscal-year 2018 budget. Trump's budget would reduce funding to many programs that are "critically important to ports," including Transportation Investment Generating Economic Recovery (TIGER) grants and port security grants, AAPA officials said in a press release. The president's proposed budget would eliminate the TIGER program, which last year awarded $61.9 million in multimodal infrastructure grants, such as money for dock, rail and road improvements. Trump's budget also would reduce Harbor Maintenance Trust Fund outlays and assistance in reducing diesel emissions, according to the AAPA. AAPA has called for $66 billion in federal funds for port-related infrastructure over the next 10 years. The association recommends investing $33.8 billion to maintain and modernize deep-draft shipping channels, as well as $32.03 billion to build vital road and rail connections to ports and improve port facility infrastructure. Trump's proposal requests money for harbor deepening projects in Boston and Savannah, Ga., although Congress has authorized 15 of such projects. "As the fiscal 2018 budget process and the anticipated infrastructure initiative moves forward, it's vital that significant federal investments be made in port-related infrastructure," said AAPA President and Chief Executive Officer Kurt Nagle. "Such investments will pay huge dividends in terms of our international competitiveness, economic growth, American jobs and federal tax revenues." AAPA officials are encouraged by the Trump administration's support for a $1 trillion infrastructure investment over the next decade, Nagle said. Meanwhile, the Coalition for America's Gateways and Trade Corridors (CAGTC) applauded Trump's "dedication to investing $1 trillion" in infrastructure. "Key infrastructure principles released in the [budget] reveal a targeted framework that stands to support increased investment in the multimodal freight network and foster desirable outcomes," CAGTC officials said in a press release. The coalition also agreed with Trump's call to "leverage the private sector," and noted that competitive grants often attract non-federal dollars, including money from the private sector.